Before this post, i have talked about various offers/promotions about antivirus products like Kaspersky, Nod 32, Norton, Trend Micro, Avira and some others. Till now i haven’t came any promotion for AVG. But today we got one and that too a big one. Visit the promo page by clicking here. You will need to fill a form like this. 2. 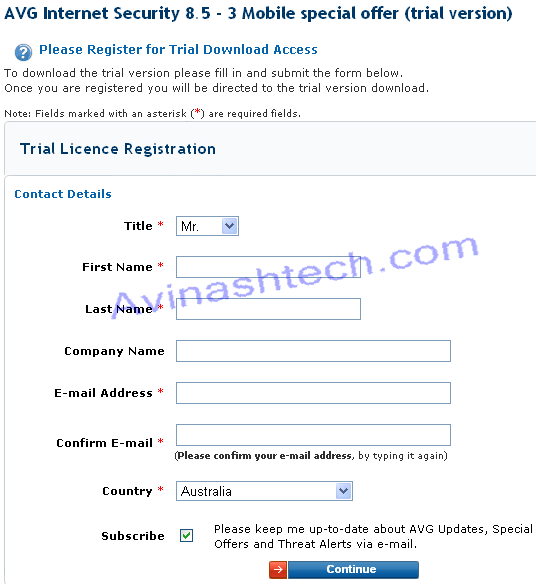 After submitting the form above, you will be providing a direct link to download the setup file. I can also honestly recommend AVG’s reseller program that really makes money online. It’s a great product, they do have support for both – a product and for reseller program as well. Generous discounts and no sales limits. Please visit http://www.youtube.com/watch?v=6SiMpt8hvCQ to watch demonstration video about this program. i am not a big fan of AVG though. But its good enough for many guys.